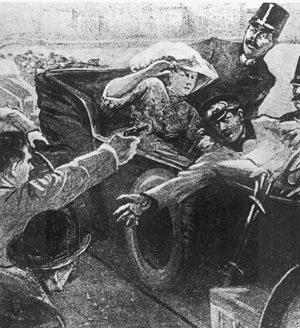 Contemporary newspaper drawing of the assassination of Archduke Franz Ferdinand of Austria. Whether the assassination sparked a chain of events that led to the outbreak of World War I is highly controversial. Image in the public domain via Wikipedia Commons. August 4th marks the anniversary of the day Great Britain declared war on Germany. But what were the circumstances that led to the outbreak of this global event? We’ve pulled together the highest quality Open Educational Resources on the Web to explore why the origins were much more complex than the assassination of an Archduke. All materials are provided under an open license (Creative Commons Attribution Non-Commercial Sharealike at its most restricted) which means you are free to reuse, remix and republish them. Open Yale Courses offers two excellent video lectures by Professor John Merriman. The Origins of World War I (Lecture 13, France since 1971) and The Coming of the Great War (Lecture 16, European Civilization, 1648-1945). The British Library World War One site provides an article by Annika Mombauer which explores the opposing debates about the origins of World War One and asks whether it is possible for historians to arrive at a consensus? Oxford Podcasts series Oh What a Lovely War provides a public lecture from Prof Margaret McMillan on the debating the causes of the War: Accident or Choice? The Outbreak of the First World War. The historyfaculty.org short video lectures on the Entente Powers by Professor John Gooch opens with a discussion on the objectives for entering the War. Likewise, his lecture on the Central Powers opens with a similar discussion. Meanwhile Dr Alistair Kocho-Williams lecture Germany, Russia and the Alliance System looks more closely at the system of alliances created in the late 19th Century. Alliances that would prove to be crucially important in the build up to the First World War. Questions are asked as to how significant they were with respect to the First World War, and if in fact were a contributing factor to its outbreak. 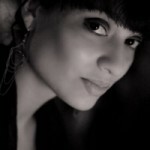 OpenLearn provides a short article on the Agadir Crisis of 1911. This ebook Italy and the Great War: from neutrality to intervention by Antionio Salandra, Italian Prime Minister 1914-1916, details Italy’s neutral stance at the opening of the conflict and eventual entry into the war on the side of the allies. We’ve created an interactive timeline using an excel spreadsheet provided by the Imperial War Museum. The timeline shows political, social, military, naval and aviation events up to 1915. Lastly, our own podcast series First World War: New Perspectives offers a completely different take on the shooting of the Archduke – was a sandwich to blame for it all? This short talk entitled: The Sandwich that Sabotaged Civilisation delivered by Paul Miller will certainly raise questions about our memory of the Sarajevo assassination, exploring how what we think we see shapes what we think about the past. This entry was posted in Consent, Dissent and Revolution, Teaching and tagged 320 (Political science), 355 (Military science), 940 (General history of Europe), J (Political Science), U (Military Science). Bookmark the permalink.